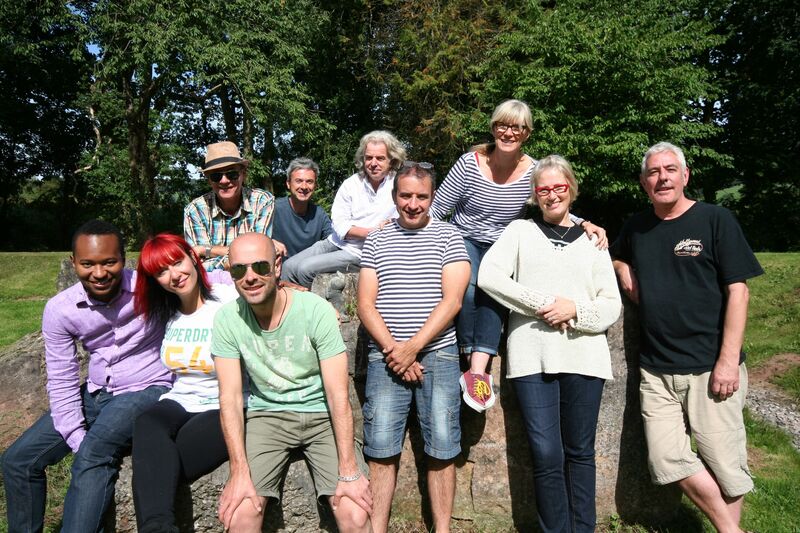 10 songwriters and BASCA members, including board member and session organiser Rita Campbell, came down for a song writing retreat at Monnow in late August. Lovely weather, BBQs and full catering by Jo; the songwriters made the most of our many rooms and large spaces to write 15 songs, recording them too. Working on rotation over the stay in groups of two and three, they were there to write but also network. For some members it was the chance to put aside all other commitments and simply write, producing 15 songs. Whilst we host bands and artists for song writing sessions and pre-production all the time, this was the first of our specific song-writing retreats in association with BASCA, bringing members of the organisation together who would otherwise not have worked with one another. Amongst the writers we had the composer of multiple children’s theme tunes including the Tellytubbies and Rosie and Jim, Andrew McCrorie-Shand, renowned West End MD (amongst many other things) John G Smith, rapper Influence, and Nashville export Kris Wilkinson Hughes. It was a hugely successful retreat, and we’re looking forward to having BASCA, and their writers, return.